When Dr. Edwin Land, the founder of Polaroid, introduced the world to the groundbreaking invention of instant photography in 1943, the innovative process was coined the "Magic of Instant." Quite literally it was magic as no one had ever seen an image develop just moments after a photograph was taken. At Polaroid, we believe that the magic of instant photography is preserved even after a photo fully develops because of the story behind it; the story that may be initially hidden to the viewer but was instrumental to the photographer and the creation of the photo. Dr. Edwin Land, at a press event in 1972, described the story behind the moment he conceived of instant photography. I think we all solve problems in one way only, namely in terms of our own personality, experience, and background. Prior to that day, I had been working with my colleagues on a number of photographic processes—in particular one called the Vectograph, which makes images in terms of vectorial inequality, three-dimensional images. We had been making those for military purposes, and in the course of doing that had learned a great deal about image-making by transfer from wash-off relief—transfer of iodine solutions—then passing them through a pair of rollers [from] a donor sheet [to] a receptor sheet. Strangely, by the end of that walk, the solution to the problem had been pretty well formulated. I would say that everything had been, except those few details that took from 1943 to 1973." In celebration of Polaroid’s 80th anniversary year, we present Polaroid Unfaded, a series of photographs and the compelling stories behind them. The stories that infuse them with the life and breath of the magic captured on the day they were taken. The Polaroid Unfaded series will feature extraordinary Polaroid photographs by photographers, artists, partners, and brand enthusiasts. Innovation in our ever-evolving digital world allows us to "share" photos and "like" them from anywhere in the world. However, for these past 80 years, instant photography has remained a timeless art form, a medium that cannot be replicated—a magical experience. A single moment captured, printed, and shared instantly. 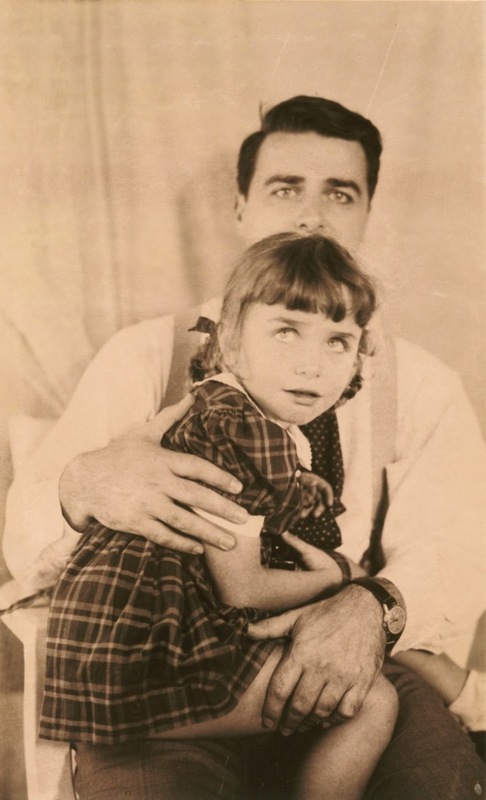 Photograph: Edwin H. Land with his daughter (test photograph), 1945. Photograph by Meroë Marston Morse. Polaroid Corporation Records.